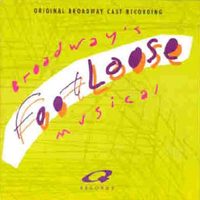 Original Broadway Cast, 1998 (Q Records) (1 / 5) When Footloose was adapted as a stage musical, it turned out that the movie’s vintage rock songs, wonderful as they may be, were too closely identified with the performers on the film soundtrack to seem anything but odd in the hands of show-music veterans like Dee Hoty and Broadway babies like Jeremy Kushnier and Jennifer Laura Thompson. Even if their idiom weren’t foreign to this context, the songs from the film, as compared with the ones that Pitchford and Tom Snow wrote expressly for the stage version, are shoehorned, rather than integrated, into the action. 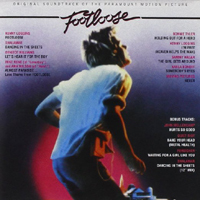 On this original cast recording, the really good songs — that is, the ones from the movie — aren’t given their due, and the additional numbers don’t live up to what’s on the soundtrack. — C.W.